If you're after a photography t-shirt for yourself or for a gift, here are some ideas. 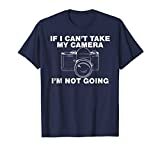 If you're after a photography shirt for yourself or for a gift for a photographer here are some ideas. Some are quirky, some are funny, some are meta, and some are cute, but they're mostly just fun. I've chosen some of my favorites and skipped the endless "I shoot people" variations and others that can be, well, creepy. So here are some of my favorites. Most of these are available in a variety of sizes and colors and in men's, women's, and unisex styles. 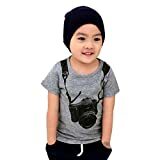 And they often come in different shirt designs, from t-shirts to long-sleeve shirts. There are also some cute ones available for kids. Some of these are printed on demand, so if you're trying to get it in time for a deadline, be sure to check their shipping cutoff dates. For those bitten hard by the bug. You used to see this sign everywhere, even in the most remote places. But it's now from a bygone era. Please note that this one is an official Kodak product, not one of the many unlicensed variations out there. 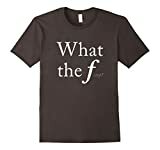 I wear this one myself--love it. 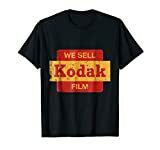 Kodak sells these through their store on Amazon. There's a bunch of variations on this theme, with different cameras and different levels of stylization. There are even kids' versions (see below). You can find them at RedBubble. A fun twist on the one above. You can find these at RedBubble. For the photographer-in-training. I got this one for my son--looks great. You can find it at Etsy. Photographers will recognize it immediately. Others might need longer. Going manual is like getting thrown in the deep end. Either harmless fun or, if you've been hassled unnecessarily by security for taking perfectly innocuous photos from public land--and these days, who hasn't at some point?--it can easily take on a more sarcastic tone. These are by one of RedBubbble's designers. You can find these photography shirts at Etsy. Before auto exposure and aperture priority and shutter priority and auto ISO, there was the sunny 16 rule. Photographers should get it, although I'm not sure how many others will. Another one that's available through RedBubble. For those who like vintage. 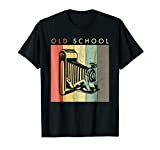 This old timey hipster shirt is perfect for anyone wanting to make a vintage statement in style. Turn yourself into a walking, talking 18% gray card and never again be caught guessing the exposure. One that's instantly recognizable to those who speak photography. 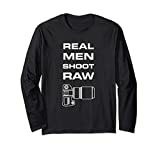 There's also a "real men" version. Real Women Shoot RAW T-Shirt for Christmas and as a Birthday Gift, Mothers day or Fathers Day present. 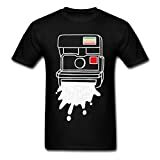 People who love old school photography, slr cameras or digital photography will love this tee shirt. Perfect gift for any photographer or photography lover. 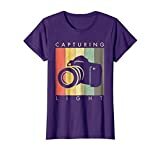 Photography, camera, dslr, lens, aperture, f-stop, photographer tee shirt, t-shirt. We've all thought it, but this if for those who don't mind stirring the pot. Because no-one looks good with full-frontal flash. Graphic T-shirts are always unique and classy when wored. Be it any quote or a beautiful image on it.